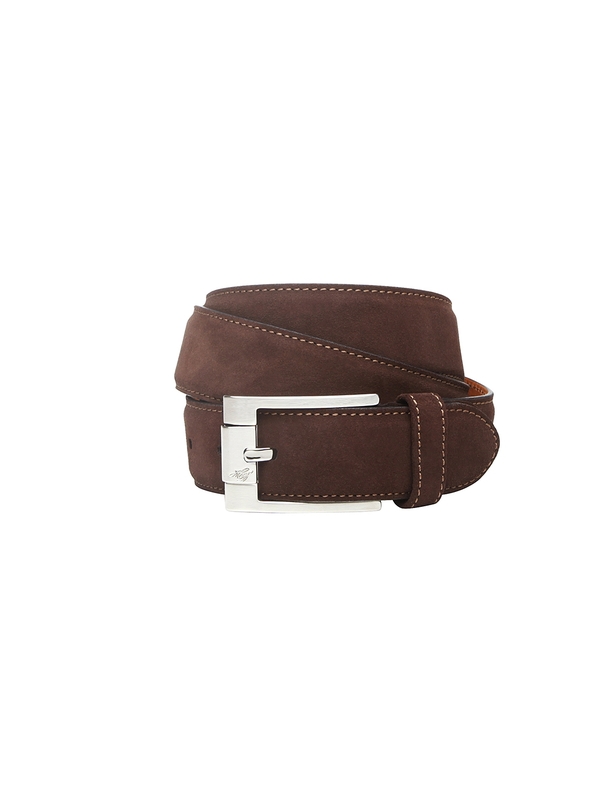 This men's belt made from fine calf velour is pure understatement. 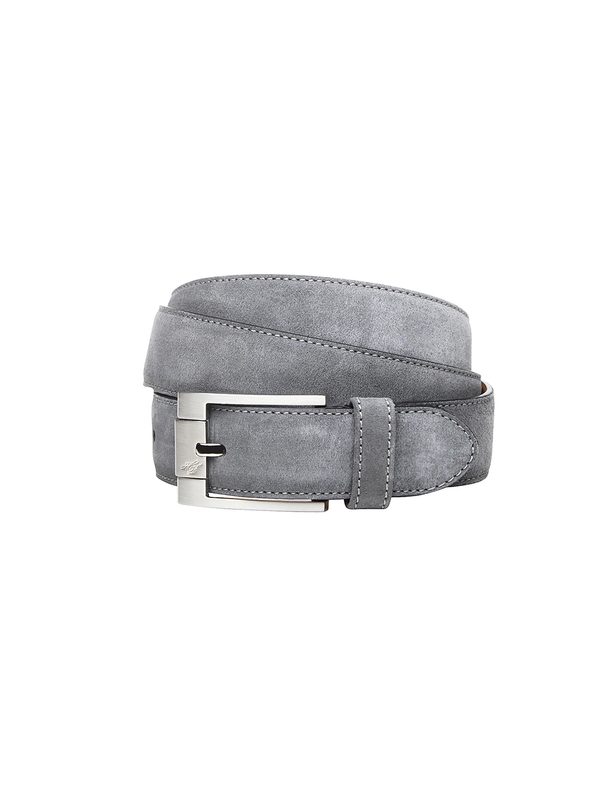 There are no superfluous decorations, only the fine suede leather and all-round seam, which makes this belt the ideal unobtrusive partner for your Heinrich Dinkelacker shoes with the 'V' leather designation. 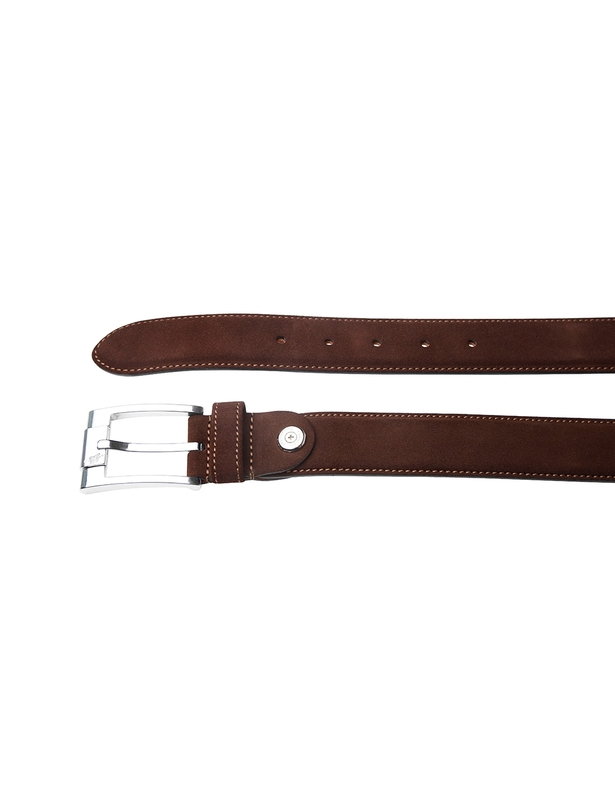 The inner layer of the Bence model is made from cowhide leather in the usual quality, which reliably protects the outer leather from abrasion. 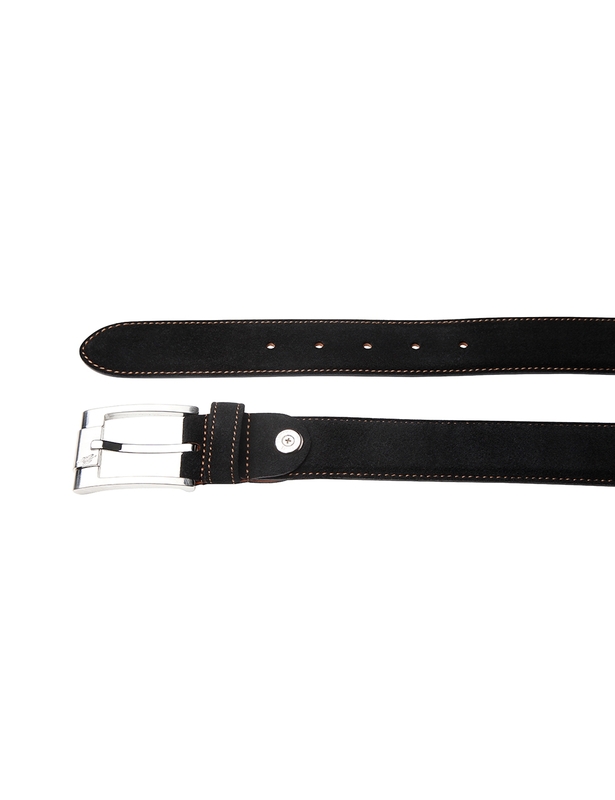 The brushed belt buckle fits perfectly into the elegant overall picture and has a discreet engraving, with the Heinrich Dinkelacker logo as its only decoration. 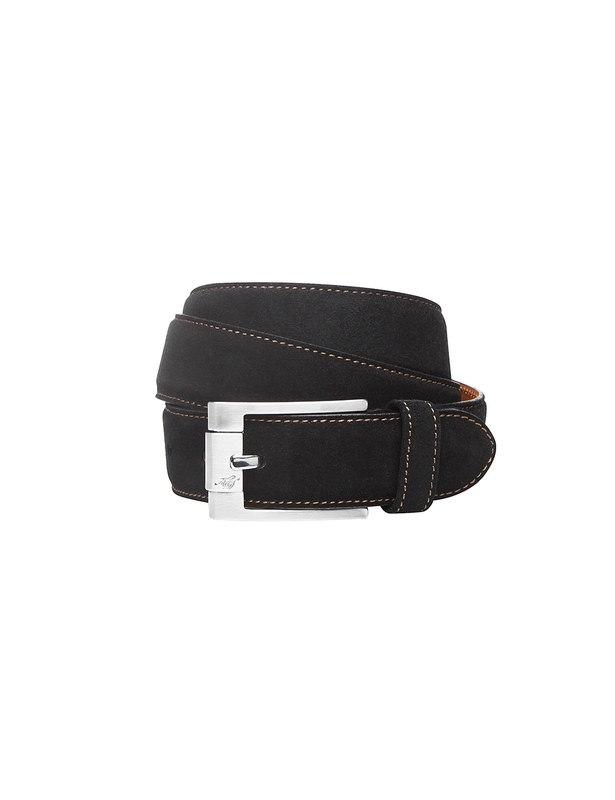 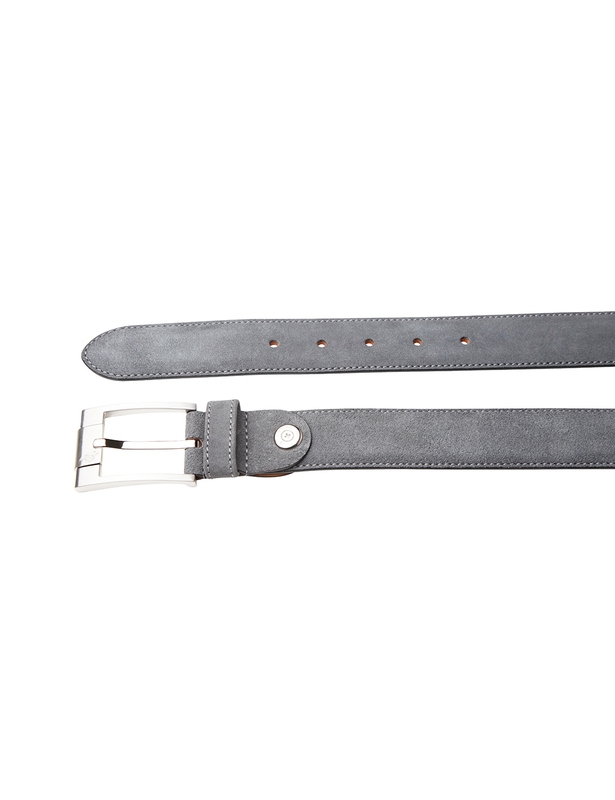 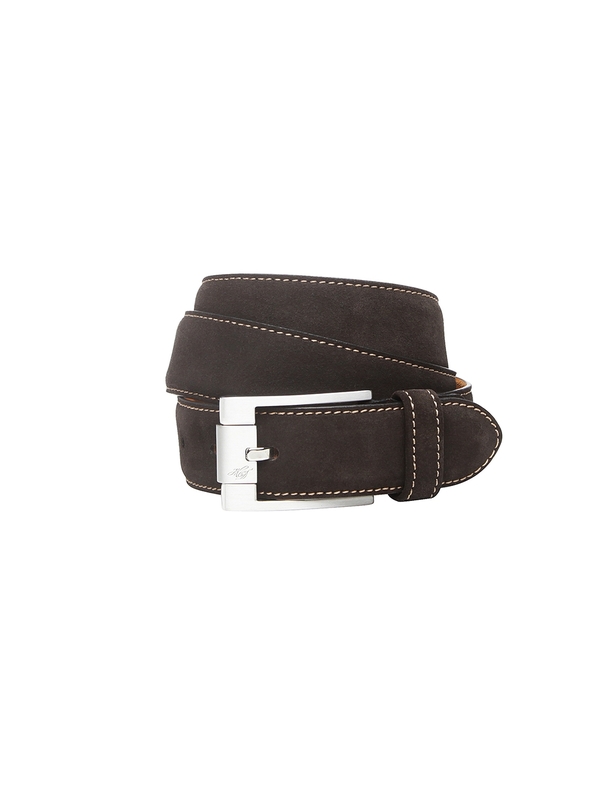 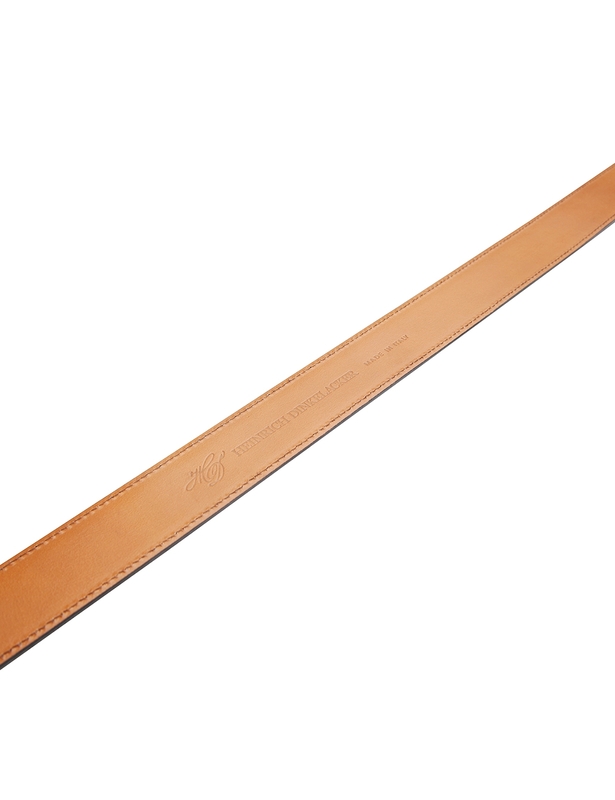 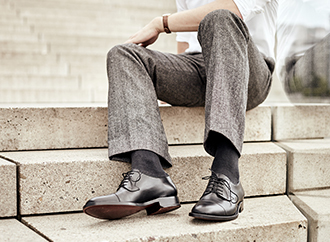 With a leather width of 35 mm, this belt is suitable for suit trousers as well as leisurewear.